Note: This policy shall be in effect from October 17, 2018 until June 30, 2019, at which time the policy, unless revised or extended, shall expire. 1.01 The University is committed to providing a safe and healthy environment for its employees and students and promotes compliance with federal, provincial and municipal regulations. 1.02.02 Establish educational and harm reduction programs for University Employees and Students who may be considering using Cannabis. 2.01 “Cannabis” means a cannabis plant and any part of a cannabis plant, including the various products derived or produced from the leaves, flowers, and resins of a cannabis plant, including the phytocannabinoids produced by, or found in, such a plant, regardless of whether that part has been processed or not. This includes any substance or mixture of substances that contains or has on it any part of a cannabis plant, and any substance that is identical to any phytocannabinoids produced by, or found in a cannabis plant, regardless of how the substance was obtained. 2.02 “Cannabis Accessory” means rolling papers or wraps, holders, pipes, water pipes, bongs, vaporizers, or any other thing represented to be used in the consumption or production of Cannabis. 2.03 “Contractor” means a company or person retained under an agreement to provide goods or services for the University at a University Facility, including vendors, service providers and general and trade contractors. 2.04 “Employee” means a person who performs work for wages in any capacity for the University and includes all faculty and staff employed by the University on a fixed term or continuing basis, student employees and postdoctoral fellows. 2.05 “Student” means an individual who is registered in a University course or program of study. 2.06 “University Facility/Facilities” means all buildings and grounds, owned, leased or operated by the University, including without limitation outdoor playing areas, athletic and recreational fields and all University residences and housing. 2.07 “University Vehicle” means any vehicle rented, owned, or leased by the University. 2.08 “Use” means smoking, vaping, applying, inhaling, eating or otherwise consuming, injecting, or ingesting of Cannabis, whether using Cannabis Accessories or not. 2.09 “Visitor” means an individual who attends a University Facility, University Vehicle or vehicles being used for University business who is not a University Employee or Student. For clarity, this includes Contractors and Volunteers, as well as attendees of conferences, meetings, or events. 2.10 “Volunteer” means an individual who willingly provides services or assistance to the University without payment of fees, wages or salary and without any expectation of any kind of compensation other than reimbursement for incurred expenses or, as may be applicable, a pre-approved honorarium. 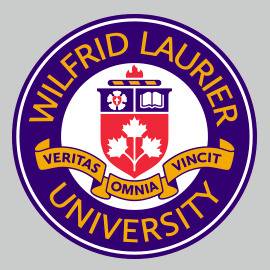 3.01 This policy applies to all Laurier Employees, Students, Visitors, Contractors and Volunteers while on University Facilities, or in University Vehicles or vehicles being used for University business. 3.02 In the event of a conflict between this policy and any rules put in place by the owner or landlord of leased space where University business takes place, such other rules of the owner or landlord shall apply if they are more restrictive than this policy. 3.03 This Policy does not apply to Cannabis or Cannabis Accessories used or grown in laboratories for teaching and research purposes where the research meets all regulatory and ethics approval requirements, and appropriate protections for environmental health and safety are in place. 4.01 The Use and preparation of Cannabis (indoors and out-of-doors) on University Facilities or in University Vehicles is prohibited, except as may be explicitly authorized by this policy. 4.02 In addition to any other restriction or prohibition contained in this policy, the smoking and vaping of Cannabis is prohibited in any place where smoking is prohibited under policy 7.8 Smoking policy. 4.03 All University Employees, Students, Contractors, and Volunteers involved in the business of the University, activities related to the University or representing the University must comply with all relevant laws, regulations, rules and policies respecting Cannabis Use in the place where such business, activities or representation occurs. 4.04 All University Employees, Students, Contractors and Volunteers are expected to be responsible with their consumption of Cannabis and ensure they are able to engage in their activities related to the University in a manner which does not threaten the safety or health of themselves or others. Employees must comply with policy 7.20 Fitness for Work policy. Contractors must comply with policy 7.13 Contract Labour policy. Students must comply with policy 12.3 Non-Academic Student Code of Conduct. 4.05 All Cannabis brought on to any University Facility must be legally obtained. Cannabis and Cannabis Accessories in or on University Facilities must be stored in sealed, scent-proof containers. 4.06 Provincial law prohibits Cannabis consumption in vehicles. All University Employees, Students, Contractors or Volunteers are prohibited from operating a University Vehicle or vehicles being used for University business, including leased or personally owned vehicles, if there is any possibility they may be impaired as a result of their consumption of Cannabis. 4.07 Municipal law may restrict Cannabis consumption in spaces governed by municipal by-laws. Cannabis Users are responsible to be aware of any regulatory restrictions that may apply to their Use. 4.08 Cannabis Sales and Advertising: The sale or distribution of Cannabis and Cannabis Accessories is prohibited in or on University Facilities, or in University Vehicles. Cannabis and Cannabis Accessories may not be advertised in or on University Facilities, University Vehicles, or in University controlled digital channels. 4.09 Growing Cannabis: Cannabis plants may not be grown in or on University Facilities, including University residences and housing. 4.10 Research Offices and Field Stations: Cannabis, in any form, is prohibited at research offices, sites and field stations operated by the University. 4.11 Cannabis in University Vehicles: Cannabis, in any form, is prohibited in University Vehicles, except for University Vehicles used by Special Constable Services to transport seized Cannabis. Cannabis and Cannabis Accessories in private vehicles being used for University business must be in sealed, scent proof containers and out of reach of the vehicle’s occupants. 4.12 University Events: The University will not authorize or provide support to any event where the sole or primary purpose is the consumption or promotion of Cannabis. 4.13 Cannabis Promotion: Use of the University name or University registered marks on anything promoting Cannabis or Cannabis Accessories is strictly prohibited. 4.14 Accommodations: Exemptions to this Policy may apply where reasonable accommodation is required under the Ontario Human Rights Code. Requests for accommodation will be considered on a case-by-case basis. 4.15 Compliance: Compliance and enforcement will be in accordance with University policies and procedures, as well as applicable legislation or regulation. Event organizers are responsible for communicating this policy to Visitors and for enforcing the policy, which may include requiring a Visitor to leave the University Facility or Vehicle. 4.16 Discipline: Discipline of Employees and Students for breach of this policy will be in accordance with applicable University policies and procedures and/or collective agreements. Anyone who reports Cannabis Use in contravention of this policy in order to report or seek emergency medical assistance will not be subject to disciplinary action. 4.17 Awareness and Education: The University is committed to providing resources and education and promoting awareness, prevention and harm reduction about Cannabis to Students and Employees.